As bloggers,we have quite a good number of ways to make money with our blogs. We are used to affiliate banner ads, adsense, text link ads, sponsored posting, ad space sales, etc. These are actually powerful ways to monetize blog posts. But there is a completely new way you can monetize your blog posts starting from today! This is certainly nothing you have heard before. It’s based however on an object you might have used on your blog but did you know you can add a little touch to it and let it fetch you some money? Everything takes place on your blog and advertisers are craving for this kind of exposure. For a fair price, they will pay you to grab this service. You need to have an active blog with some minimum number of visitors. This method works for serious bloggers. It’s not a traffic method! It’s a completely new way to let clients pay you so you can help them with exposure on your blog and on social media. Question: Is there going to be saturation? Question: Do I need extra investment? Ans: Yes! You will be required to purchase a premium plugin for $15. I have partnered with the coder to give buyers of this report a huge discount. This plugin will be VERY USEFUL. However, you can get the free version of this plugin and still be successful. Question: How much money can I make with this method? Ans: Enough but not millions 😉 However, this largely depends on the popularity of your blog. The more active your blog, the more you can make. In any case, I throw in some tips to help you make more! Question: Is it only for expert? Question: How long does it take to start making money? Ans: It all depends on you. I know most people buy money making books online but don’t put the methods to use. If you don’t try this out, it will be a waste but if you follow instructions, you could start making money the following day or week. Question: Can this work on a completely new blog? Ans: This method works on just any WordPress blog. However, making money with it depends on the activities on your blog. You are going to be giving exposure to advertisers in a completely new way no one has ever thought about. 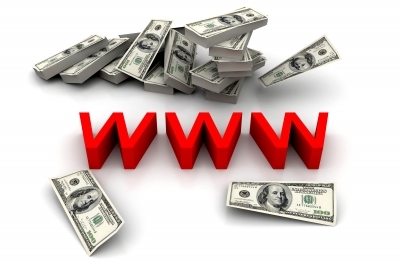 They will pay you anything from $5 to $2500 per post depending on the popularity of your blog. What are some bloggers saying about this? “I was so thrilled when I started reading Enstine’s report. It is one of those rare marketing reports that is definitely on the short side, but is able to give you all the info that you need to start. Plus, it is direct to the point and doesn’t bug the reader down with unnecessary material, unlike others that I have read. And the light-hearted tone guarantees that readers will get a good grasp of how to use this mthod effectively right of the bat. This is definitely a must have for those people wishing to make the most out of their blogs. This is yet another creative way to make money. Enstine keeps coming up with new innovations as far as online business and the art of making money are concerned. Just ONE word for it “Awesome”. I have never thought of this before or never heard of this type of money making strategy. Really unique in nature. I believe, if I can bring targeted traffic to my website then definitely people will be ready to pay for this type of advertisement concept. I want everybody to have access to this wonderful method. That’s why I’m making it very accessible. An excellent plugin that enables you attach any text to all mails sent from withing your blog. This is a powerful way to get some piece of information to your readers. Think of the number of emails sent from your blog daily – comment notifications, comment reply notifications, new post notifications, etc. Tweetlow is an excellent Twitter web app for Twitter followers and retweets. If you want 100s of retweets on your blog posts, you need to join this platform for free. Simlply, you will have to list your blog posts and offer credits for other members to retweet and earn. The more credits you offer, the more retweets you get on your blog post. That is huge value in traffic. It looks something new to me. I am gonna try this. Thanks again for your helpful article. Thanks Enstine for sharing such a kind of good info. I share this book with my friends. They really liked it. Thanks again. Really great and appreciated post, you always came up with amazing ideas man and we love to read your articles, keep posting such an amazing ideas. Genius idea indeed. But I guess it depends on how good you are with this, which I know you are. By the way I am about to contact you through facebook because I’ve been wanting to ask you a question related to getting more traffic and better ranking to my blogs, so see you there. hello muki. apart from using paypal what other payment method do you accept and is there any coupon available for the product?. How to Root Any Android Phones Manually Without PC. Really interesting read. Always looking for new ways to make extra income. How much traffic does someone need to be able to take advantage of this? Enstine Muki recently posted…Free WordPress Themes ~ Why free is expensive! May be we can make money in this method if our blog has more visitors each month, but i think for those bloggers who’s just starting and don’t have more visitors on their blog. I think we need to focused first on getting more traffic, because without it all methods in making money won’t work. Hi Enstine, you mentioned that you need a minimum number of visitors for this method to work. Can you tell me what that number is? I don’t have high traffic so just wanted find out the minimum first to determine if this method would work for me. How great this is! Especially offering your friends a discounted rate. That’s a great way to do business. We are all here to make money online. Even if people don’t want to talk about it. It is the truth. This looks like one cleaver way to do so. I hope this really helps us earn more. I have had some pretty wonderful feedback from buyers 😉 and I’m very happy about it. Hey, who doesn’t want to make this kind of money from their blog??????? And you know what, am going to give it a try and will be back to tell how ‘sweet’ it is. You are always discovering hidden secret in blogging. And the best part… you make it very affordable to everyone, so no excuse. Enstine this is exceptional! How did you even come about this idea? I was just curious so I bought it to verify what’s inside. I now think there are ways to make money with everything we can put on blogs. About the plugin you recommend, is there any for free? The price is quite affordable though but I was just thinking some people might want to use any free alternative. Thanks for sharing this idea so cheap Enstine and I hope it helps bloggers with an active blog to make some more money. This is a tempting offer and you’re definitely right about it depends on you if you want to make money. I know a lot of people, including myself, will purchase something and never go full on out with it! But I have change and I will give this a go since I blog consistently! Thanks for the share! Seems like you are experimenting a lot with making money and building more traffic (two things I am definitely working on). Jeevan Jacob John recently posted…I am loving the ideas! Enstine Muki recently posted…How to make extra money from home ~ Question Answered! Thanks for offering a low budget deal to make money. I am interested in this plugin. But a thing is, am already earning more money from online. So i refer this plugin to my readers and others. Thanks for sharing this man. I am interested in buying this. I don’t have my own Paypal so will be coming from my husband’s account (one account her household). But anyway, again as Adrienne says you don’t have spill the beans but I gather I do have to find clients who are willing to pay, am I right. this guide is really worthy and I’ll share it with my social friends. You covered everything which was needed to create the trust. It will really help bloggers for sure, not just for newbies but also for the one who are here for long and looking for new ways to earn money. nice post. It’s also make money making opportunity for new bloggers. These are the good step towards the new bloggers. thanks for sharing this informative guide with all thousands of new bloggers. I’ve purchased a copy and I must say that it’s a simple, yet creative way to add one more monetization channel for my blogs. For those who are still pondering whether you should get it or not, well, just get it! The 7 bucks you pay will return you many times – if you have a decent-trafficked blog and a willingness to put what you read into action. I own a similar WP plugin mentioned by Enstine, but for some reasons (e.g. I lack Enstine’s creativity) I didn’t put it into a good use. So, kudos, Enstine, you’ve done it again! I am interested in this and I want to buy one. Of course, I really want to be able to make money from my blog, especially this is a new way, as you said. May I ask one question? Do you use this blog, or there are other blogs using this method? Thanks for your answer, Enstine. This is a great article and will be helping many to make money from their blog. Thanks for putting this wonderful information together bro. Is this the report you were telling us would soon be released? Sounds very interesting and leave it up to you to come up with something creative. Thanks Enstine and eager to hear more. Thank you for sharing and you have a great week. This is something that just came up early last week. I tried it and got some money from clients. It’s still working so I thought other bloggers might be interested in it. It’s not about reviews though. However, it’s about giving clients more exposure and of course they pay you for it. A really very well constructed post. This technique really likes to be useful for monetizing my blog. I would surely try one out. I would like to take it… Please let me know what other payment method I can use except paypal? Ankit Kumar Singla recently posted…CTA For Readers – Secret Weapon of Your Blogging Success! I know you’re full of surprises and I’m gonna give this one a shot. There are still many other ways to make money from the internet which we haven’t discovered yet and it only takes creative minds like yours to figure them out. Will surely try your report to b\make some money from my blog.. Thanks for giving some extra discount to your blog readers.. I really appreciate your efforts of bringing premium products at low price. Thanks for offering the deal to your readers at such a great discounted rate. You’re right, you got to try it to make it work for you. Would’ve loved to buy the report but i do not have Paypal as it is not allowed in my country. What other methods can one use to buy the report? I cannot but agree with Harleena that your methods are really ‘The Enstine Way’. I sincerly marvel at your creativity and the pace at which you bring perfectly new ideas into being…if this does not amount to creativity, I don’t know what else to call it. Have a great money making week ahead! This is perhaps the best sales letter I’ve ever read. Success is behind a good marketing strategy. Well done Mr. Enstine. This offer is hot! Once again you left a great effect on us through your awesome article. Especially marketing report. This report definitely help many bloggers. Well conducted and well formed, it’s not just a great but an awesome article which is really useful for me and apart me it’s useful for those thousand of bloggers. Thanks for your great inspiring article, Enstine Muki. I am really glad for your great contribution. Bishal Biswas recently posted…Maximise Your Affiliate Marketing Campaigns Potential With Social Media!